A fleshed-out look at the long-running plan to redevelop the Baldwin Hills Crenshaw Plaza mall comes today via Los Angeles Planning Commission, which will consider the project at its meeting next week. 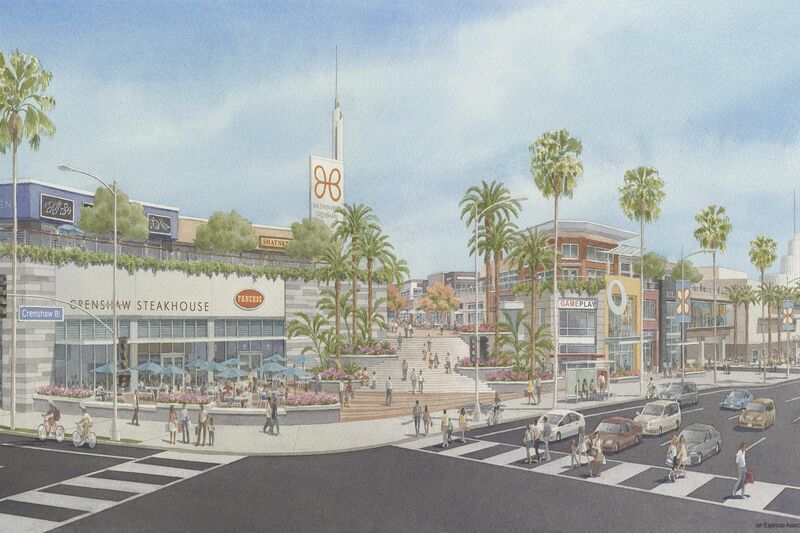 New renderings show off the residential segment of the project, with a central amenity area, as well as what looks like an Americana-inspired retail zone. The project would keep the mall square footage the same but it would add more than 300,000 square feet of retail and restaurant space, a 10-story office building, a 400-room hotel, 551 condos, and 410 apartments to the 43-acre site.